It is World Card Day, and you can make this project and other listed at the links below at the World Card Day Hop with current Stampin' Up! products. You are currently on my blog, Donna Ross from Stamped Sophisticates. There's a list of names at the end of these card instructions you can use to hop to other blogs for some fantastic ideas for using Stampin' Up! products. Let's get started. 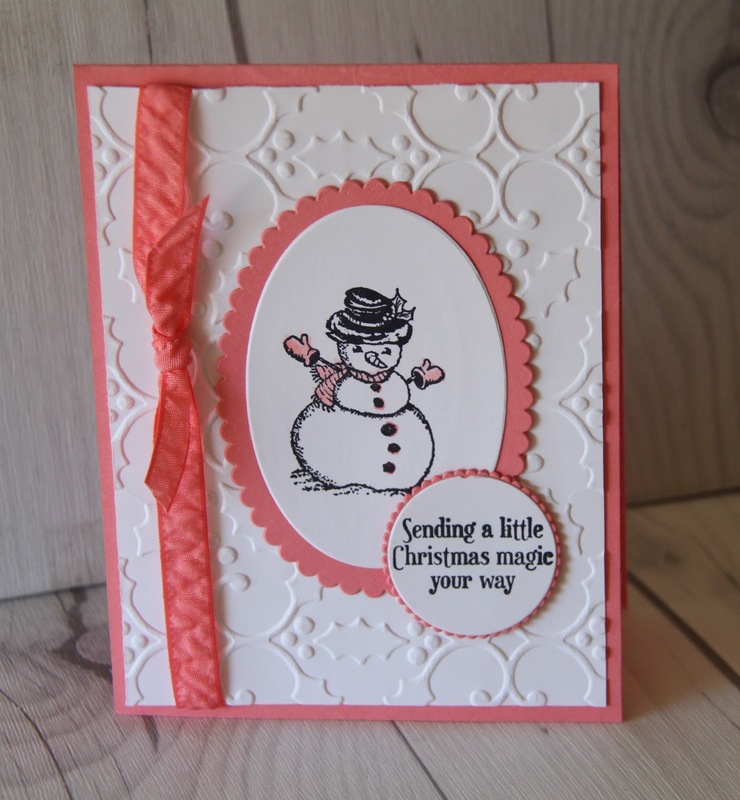 This card is very fast and can be used for a make-and-take or as a card for a Christmas card class. 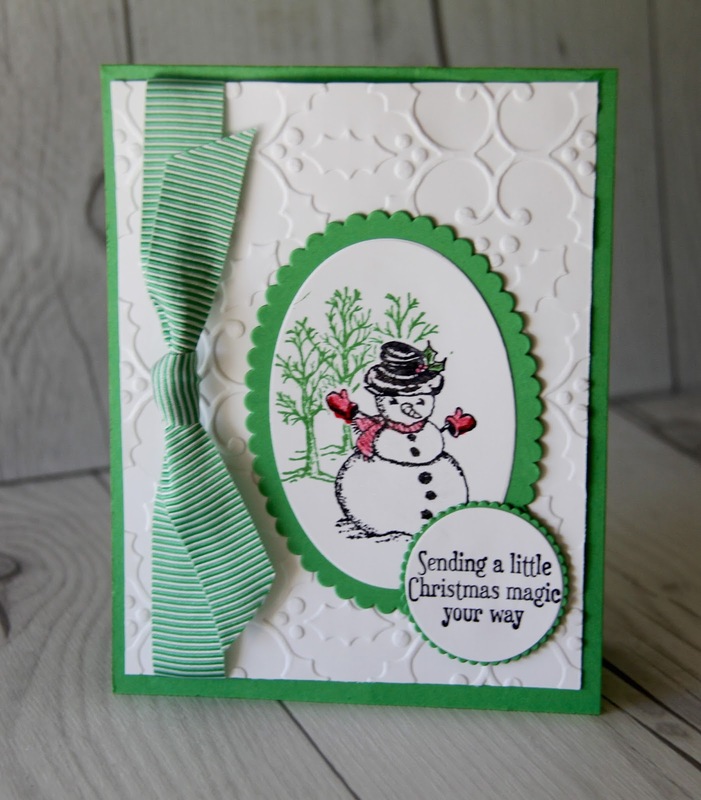 It can easily be stepped up to a more detailed carding using other elements from the Christmas Magic stamp set that coordinate with this snowman image. Also, you can easily change the colors on this card to any of the current catalog InColors with their matching ribbons. Additional sparkle can be added by using the Wink of Stella pen, but I chose to keep this card simple. Below is a single image of the card. Click the image for a closer look. Although this is a fairly simple card, the dry embossing and layers provide a lot of texture. 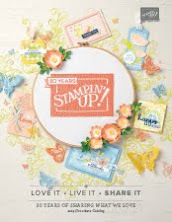 Also check the World Card Day specials from Stampin' Up! below to save on the 2016-2018 In Color card stock specials, which includes the Flirty Flamingo cards stock. All 5 of the In olor card stock can be used to make these cards and each color also has coordiating ribbon. 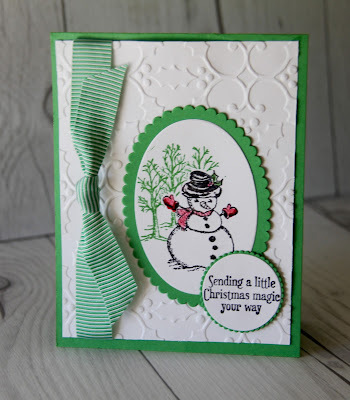 Christmas Magic Stamp Set from Stampin' Up! Here's a stepped up version of this card with a different color combination. The addition of the trees from the Christmas Magic stamp set give it just a bit more flair without much more work. I cut out a mask to cover the snowman before stamping the trees. 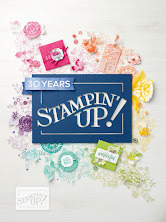 Visit these blogs, too, for additional ideas using current Stampin' Up! products. Its a great time to pick up new ideas for your Fall and Holiday projects. Happy Card Day! 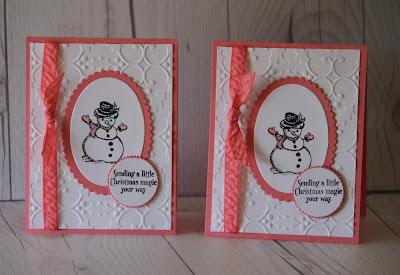 Check out other Christmas card ideas on this blog by going to the Home bustton at the top of the page and scrolling through entries on this blog. Stock up on Card Making items on Special between Oct 1-5. Just in time for creating your fall and holiday projects, these specials are available now. 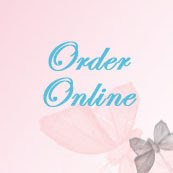 Click here to order, beginning Oct 1. These prices are good only during the Word Card Day special dates. Get two Paper Pumpkin Kits for the price of one when you use promo code “BOGO” at MyPaperPumpkin.com. Subscribe now, and your first kit will be the October kit and you will get the November kit free. These kits go together fast. 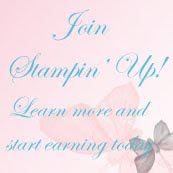 And Pinterest is filled with great Stampin' Up! Paper Pumpkin kit ideas, including many alternative ideas for using each kit, so you'll never be at a loss for using your kit. If you love to make hand made projects, but don't have a lot of room to house all the great products from the Stampin' Up! catalog or don't have the time to create your own projects, this is just what you need. You can decide each month to order future kits or suspend for that month. So adorable! Love it in both colors!